As many as 2.28 lakh people in 349 habitations across Andhra Pradesh are affected by the high fluoride concentration in the drinking water. The drinking water contains excess fluoride in 11 out of the 13 districts, whereas all the 13 districts have areas with excess of nitrate in them. 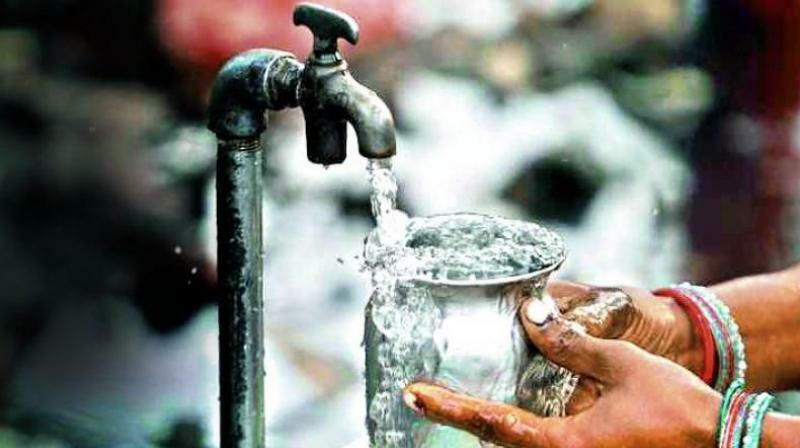 Visakhapatnam: As many as 2.28 lakh people in 349 habitations across Andhra Pradesh are affected by the high fluoride concentration in the drinking water. The drinking water contains excess fluoride in 11 out of the 13 districts, whereas all the 13 districts have areas with excess of nitrate in them. The Integrated Management Information System of the ministry of drinking water and Sanitation is working on estimating the number of people affected by fluoride. Chodavaram, Narsipatnam, and Madugula areas mostly contain excessive fluoride and nitrate. Assessment of fluoride in drinking water is being done by the state governments through laboratory testing for which the Union ministry is assisting the States through National Rural Drinking Water Programme. The ministry, in reply to a parliament question informed that with the recommendation of Niti Aayog, to deal with arsenic and fluoride contamination, Rs 800 crore was released in 2016 for commissioning community water purification plants in 1,327 arsenic and 12,014 fluoride hit habitations so that the need for safe water is addressed.